Ride to your desired place in a new style, and use your smartphone apps for a better reason. Daily we need to commute to our workplace or other places for different purposes. If somebody does not have his/her own ride, it’s quite a big mess to manage in that case. Esp. females, have hired services of auto rickshaw or van but many do not have this privilege as well. In this busy and expensive life everyone is not able to get their own ride and so they use local commuting system which is quite a hassle itself. Talking about Lahore, the crowded roads and busy boulevards might make you more depress when you are on way to office. So many of us wished to have a system in which we pay less and get hassle free ride to your home, college or workplace. Current generation knows how to make their lives easy and make money as well. Many new ideas emerged and we see fantastic entrepreneurs around us who are not only getting something done for their selves but making others’ lives easy as well; by developing these business ideas into real life services. I went through few pages on Facebook while searching random things and found some new things which are awesome if they actually work. Savaree.com and Tripda.com.pk are the websites which give you a better way for daily commuting. When all our young people getting more attached to their smartphones, then why not to use them for travelling and commuting purposes as well. Uber is a known international cab service and savaree.com seems something inspired by it, so does Travly. You just call them and need to book them when and where you want to go. Plus they can be hired on monthly basis as well. The mind behind savaree.com is a woman named Madiha Hasan, it’s been a year and the services is quite appreciated by Lahorites. Savaree’s personal Manager Shoaib ul Hasan told us that our drivers are educated, and after proper clearance we have hired people to insure security and make our services better. Talking about tripda.com.pk, it is a service which you can avail by checking who is available on your route, and you can pool your trip. So many people share their schedule and route, and give a certain amount which can be pooled. This not only reduces the daily fare but also becomes easy for people to get a good ride in less money. The idea behind these ventures is quite awesome and economical. This is unique, less time consuming and very affordable to person belonging to every class. 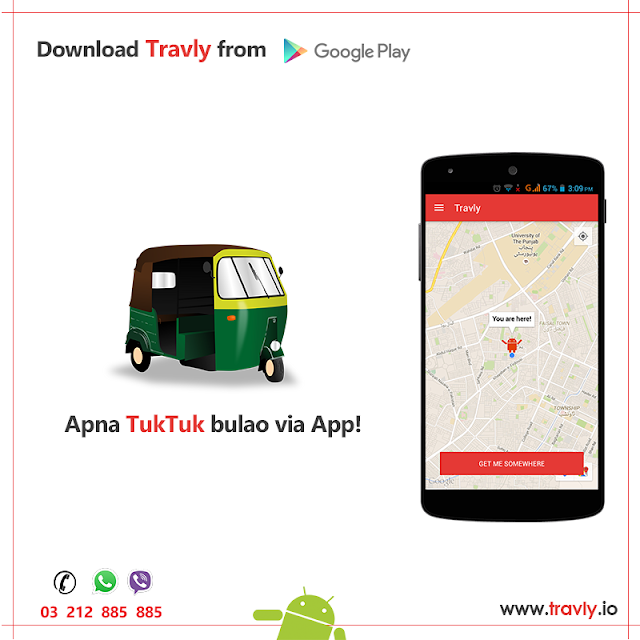 Other than that Shahi Savaree and app Travly are also launched to cater commuting needs of the people. They are expanding their service area so that many people can avail them. These apps are making good business through social media.